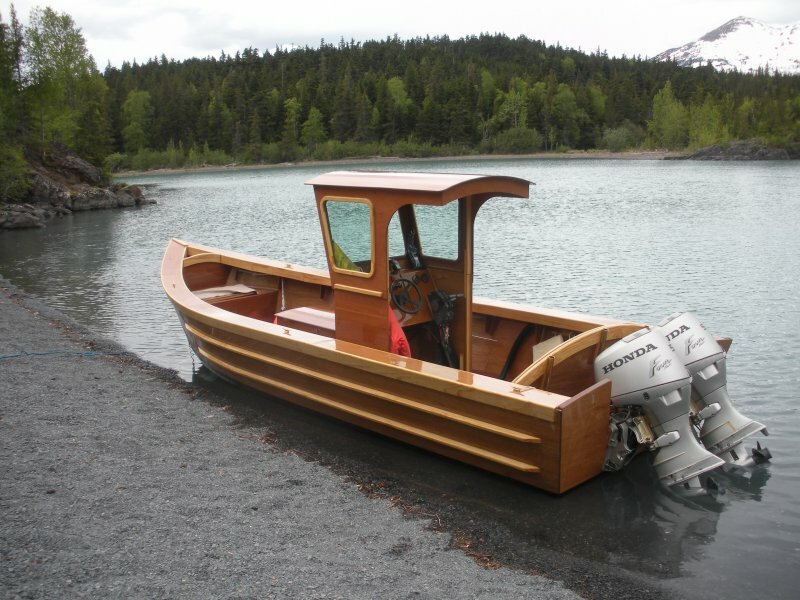 Bill Walker built this semi-vee skiff starting in fall of 2014 and launching in May of 2016. 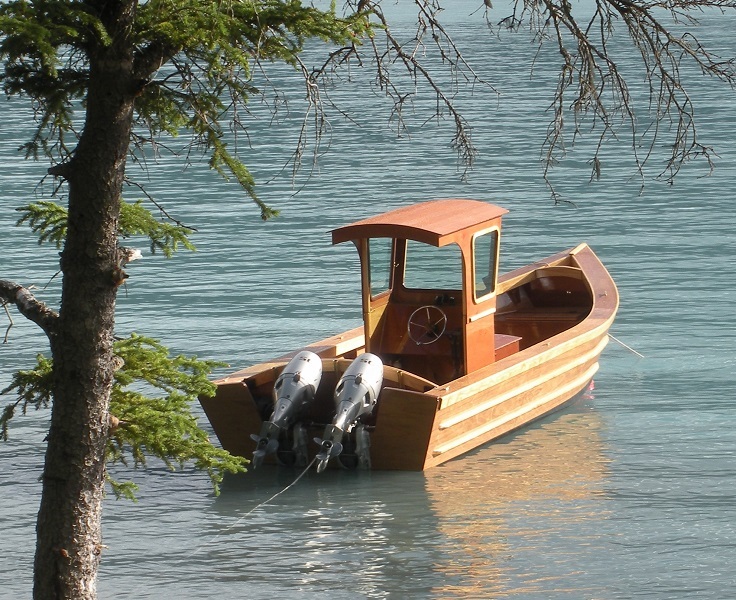 After building nine other stitch and glue boats, Bill designed and built this skiff himself. It is constructed of meranti Bs-1088 plywood with select pine trim. 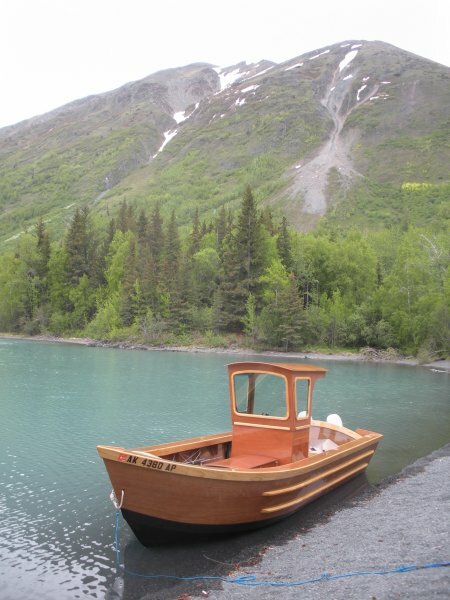 All wood is encapsulated in fiberglass set in marine epoxy and finished with multiple coats of spar varnish. 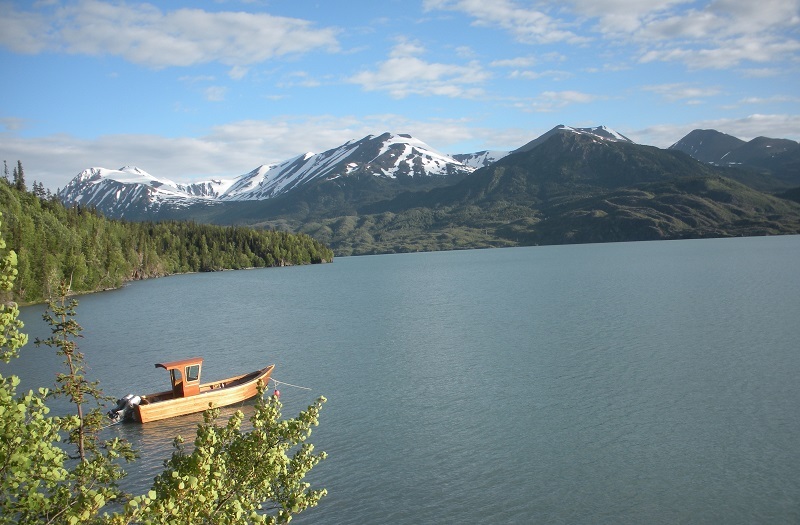 The boat is used for fishing and beach camping in salt and fresh waters of south central Alaska.